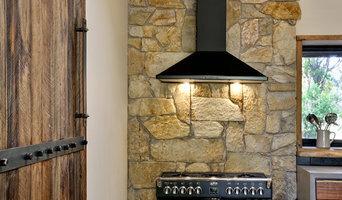 Craftsmen Quaility Builders specialise in building energy efficient and passive homes. Stuart Lee and Carlo Vavallo have over 15 years experience in the building industry working on various projects including new builds, renovations and extensions. Stuart is a Registered Builder, Accredited Green Living Builder and a Certified Passive House Tradesperson. WHAT MAKES US DIFFERENT Our passion is to build eco friendly, low-energy consuming homes using sustainable materials where we can. A key principle of our building practice is to respect the earth that gives us life and do what we can to minimise the consumption of unsustainable products. This includes finding better ways to manage waste disposal, utilising grey water and building towards carbon neutral. WHAT IS A PASSIVE HOUSE? A Passive House is a home built specifically to provide clean, fresh air and maintain a consistent temperature (between 20-25 degrees) all year round, requiring minimal heating or cooling systems. Your Builders for Life. 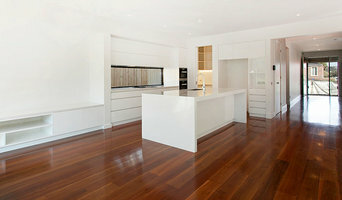 The Manuka Blue team specialise in full-scale renovations. Typical projects involve moving internal walls, rebuilding new spaces, insulating walls and ceilings, installing new kitchens and bathrooms and laying new flooring for a seamless look from entry to backyard. Norton Builders is a well-respected family owned business in Bayside Melbourne who have been designing and constructing Custom Homes for over 5 decades. We pride ourselves on meticulous attention to design, sustainability and superb craftsmanship to ensure our clients’ complete satisfaction from their initial consultation through to the finishing stages. By limiting the number of projects we complete each year this enables our small team to provide our utmost attention to our clients’ needs. Our small team consists of designers, interior consultants & management who all work closely on building an enjoyable relationship with our clients. Quite often, these relationships continue after the build with many of our clients becoming repeat clients. Building is more than a project to us, it is a commitment and passion to design and construct a home that reflects individuality and lifestyle. 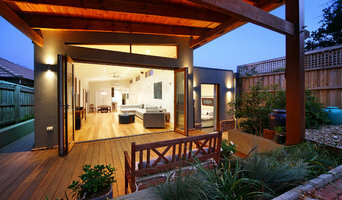 Excelsior Master Builder have almost two decades in building and renovating in and around Melbourne and rural Victoria. We are a registered Master Builder in inner north Melbourne working in the suburbs of Northcote, Collingwood, Preston, Fairfield and surrounding areas. Specialising in period restorations and unique building projects, Excelsior lives up to it’s name in every aspect of every job. We love a challenge whether it be building to the latest environmental and ethical standards, creating something unique for your home or place of business or ensuring you get the best value and quality for whatever your budget is. Beyond the quality of our work and attention to detail you will find all of our staff friendly, helpful and well presented. We have spent a long time hand selecting the best trades and service people and have developed long term relationships with them to ensure reliability, best prices and excellent work. Excelsior offer the choice of fixed price contracts or cost plus contracts, on time completion and we guarantee all our work. We build from any plans (or can arrange designs to be completed) and owners can use materials from any company manufacturer or supplier. We allow owner supplied materials or non-structural work by owners nominated sub-contractors. We build not only for home owners but for Developers, Architects, Draftsmen, real estate agents, government and local councils. 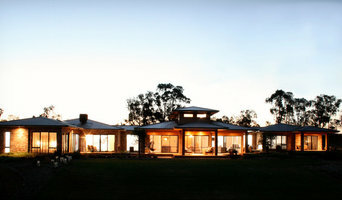 Virgon Constructions is an multi award-winning boutique builder in Melbourne established in 1995. Virgon specialises in high-end residential projects ranging from custom-built homes to townhouses and apartments. Virgon strives to be "As Unique as You Are" by customizing our custom-built homes range to suit the lifestyle needs and wants of our clients. We firmly believe that every client is different, therefore we are flexible with each project. Virgon also has a team of in-house architects that can work with clients to achieve their dream design, we also liaise with other architects regularly, to price designs in design & construct and competitive tender.